I hope I am back properly now. Feeling a bit better. 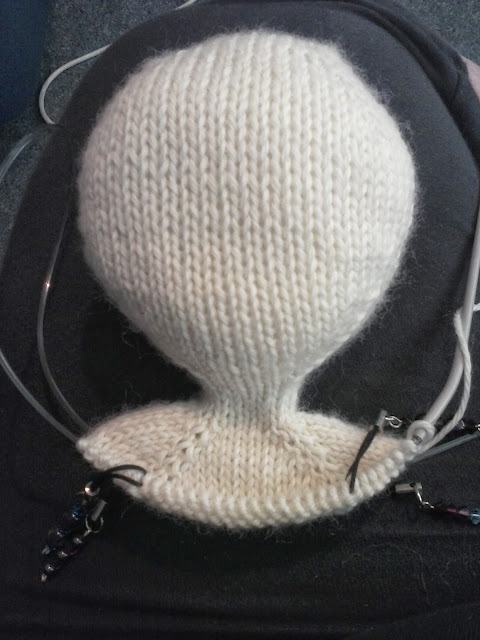 Spent yesterday afternoon finishing Poppys head, and have just now finished the neck and shoulders. It is a surprisingly quick knit. Although I credit a lot of my speed to my County Plus app which marks my rows, and my Kindle that holds my pdfs, so I don't need to constantly re print my patterns. Poppys head is stuffed and am about to hold the arm stitches and get to work on the body.